This delicious dessert recipe was created by Pomora's friend Corrie at Rabbit Food - special thanks to her. 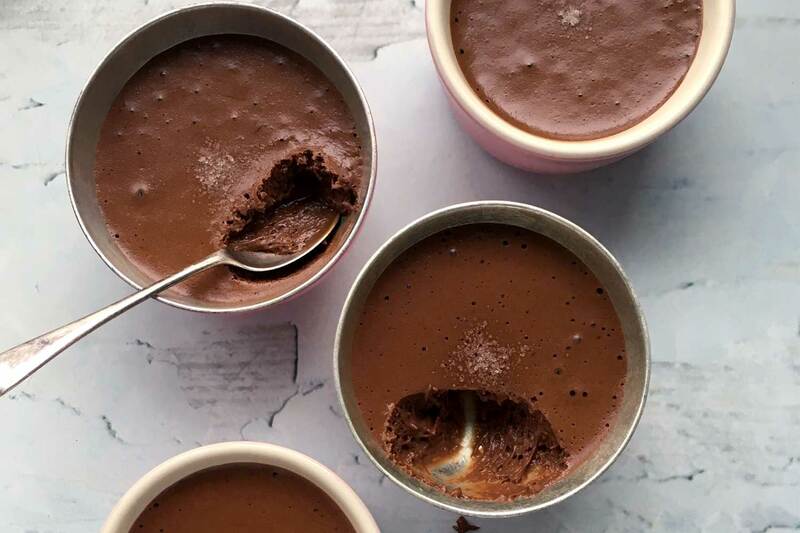 Light and airy, fluffy yet sweet, this chocolate mousse is simply scrumptious and makes for the perfect dessert after a hearty meal. Along with Corrie's Rabbit Food, we have also teamed up with Heartier for this chocolate mousse pudding. In addition, we have can bring Pomora readers a special promotional code. You can get £20 off your first order (min spend £50) using the code: "PM183". 1. Start by separating your egg yolks from their whites into two separate bowls. 2. Break your chocolate into pieces and gently melt over a pan of simmering water in a heatproof bowl. Whilst the chocolate it melting, use this time to measure out the sugar and the Pomora extra virgin olive oil. 4. Using an electric hand whisk on a slow setting, beat the olive oil straight into the melted chocolate in a steady slow stream until your chocolate is lovely and glossy. Add the egg yolks slowly along with a tablespoon of brandy and whisk again, put to one side. 5. In your standing mixer, whisk the egg whites on a high speed until you have white soft peaks. Turn the speed down slightly and add the sugar a tablespoon at a time until incorporated. On a medium speed, beat a third of the chocolate mixture into the egg whites before folding the rest of the chocolate in by hand using a metal spoon. This recipe was created for Pomora by Rabbit Food.